UMMC-Agro launched a project of a goat farm which should become the largest in Europe, says its Director General Ilia Bondarev. According to Bondarev, the construction works in Pokrovskoye (Sverdlovsk Region) will be completed by 2020-2021. This is not the first goat farm for UMMC-Agro. In 2016 and 2017, the company built two farms delivering goat milk to a local cheese producer. 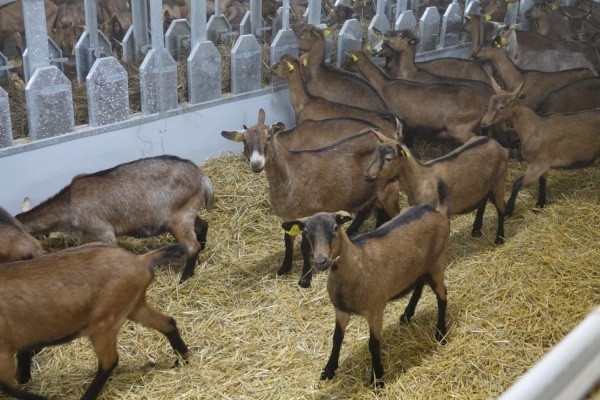 In the new farm, over 20,000 goats will be held, 12,000 of the count to be bred for diary production with an annual output of 18,000 tons of milk. With this farm, the company aims to get a share in the market of baby food products. At the moment the goat milk demand from baby food producer in Russia such as Danone, Nestle, PepsiCo is covered 100% by imports. UMMC Agro is working with Dutch partners in this project. Bondarev expects the investments to amount up to 3 bln rubles ($55 mln). Be the first to comment on "UMMC-Agro and Dutch partners to invest $ 55 mln in the largest goat farm in Europe"